A method is taken to the control of induction motor based electric drives without the aid of shaft mounted speed or position sensors. This method is called sensorless control. 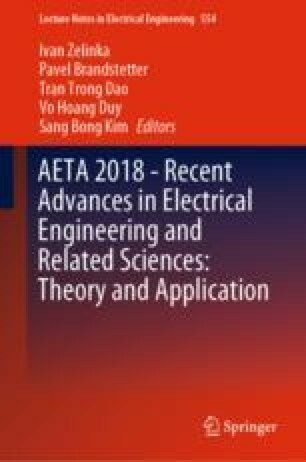 This paper describes a set of three observers used to estimate rotor speed and rotor flux angle which is needed to perform the Park transformation in Indirect Field Oriented Control (IFOC). The validity of the proposed method has been verified by simulation in Matlab and experimentation with frequency inverter controlled by digital signal controller (DSC). The accuracy of the speed estimate relies on the parameters of the machine, such as rotor time constant and stator resistance. These parameters variation causes an estimation error of the motor speed. This error could result in the decrease of control performance. This paper describes the effect of the motor parameters variation on angular velocity estimation. This work was supported by Slovak Scientific Grant Agency VEGA No. 1/0774/18. and by project ITMS: 26220120046, co-funded from EU sources and European Regional Development Fund.